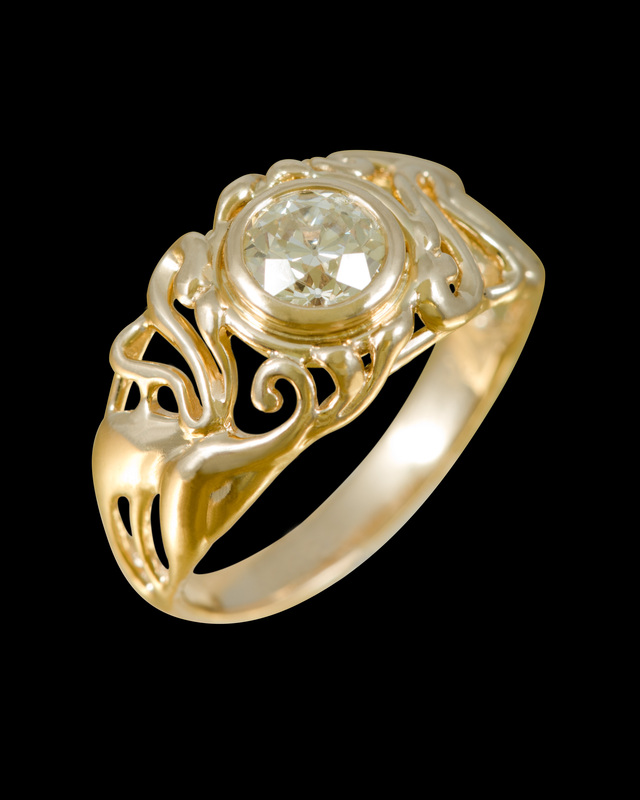 This is an example of my filigree work. The diamond was provided by the customer which was an heirloom. It was bezel set so that it didn't stick up and made for a very durable yet beautiful ring.